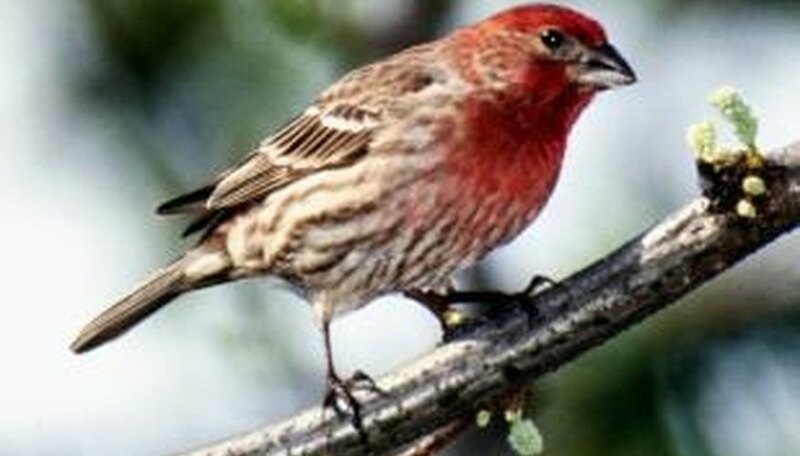 Finches are small, colorful birds that are a delightful visitors for your yard. You can set up bird feeders designed and stocked specifically for finches if you want them to keep stopping by. While you also can buy the feeders, making them on your own will save you money and provide a fun project. The most common type of wild finches are the American goldfinch, the house finch and the purple finch. Check with your local cooperative extension or department of natural resources to learn what types of finches are most common in your area. Search online or in field guidebooks for pictures to help identify them. The most commonly available foods for finches are whole sunflower seeds (oil-type black and black-striped), sunflower kernels, niger (thistle), millet, flax and safflower. Check at local garden centers, nurseries or farm stores for seed availability in your area. Finches prefer sock, tube and platform feeders, but will also eat seeds that are strewn on the ground. All of these bird feeders are easy to make. Typically, finches enjoy feeding upside-down, so they prefer sock, tube and platform feeders hung in trees. 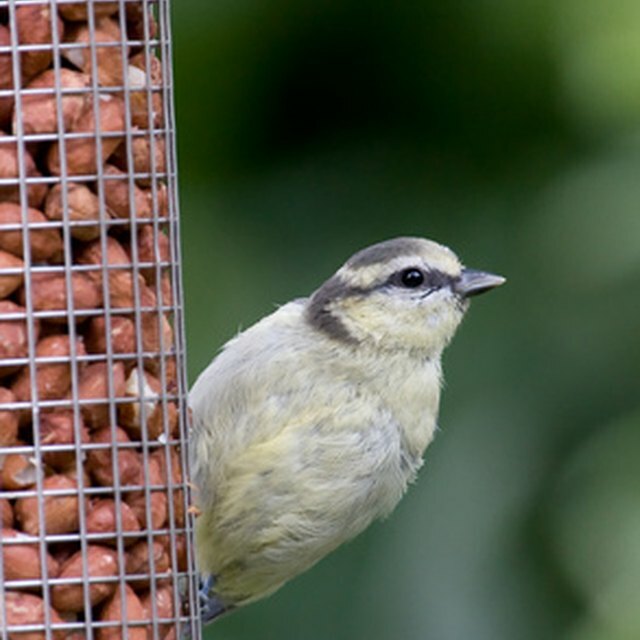 You can find many free, downloadable bird feeder plans online. You also can check your local library for books that include plans and call or go online to your local state department of natural resources. Sock feeders are long, narrow bags made of mesh fabric. They can be made from an old pantyhose leg filled with niger seed or by sewing a scrap of mesh fabric into a tube shape. Fill with seed, then hang from a tree branch. Simple tube feeders can be made from two-liter bottles. Drill a hole in the lid to run wire for a hanger. Drill small holes through each side of the bottle in varying locations, then run a thin dowel rod through each side to create short perches. Drill more small holes for the birds to remove the seeds. An easy platform feeder can be made by cutting a square of plywood, then installing eyehooks at each corner. Tie a length of string or twine to each eye hook, gather them together and tie them into a knot. Hang the feeder from a tree branch of a shepherd’s hook and scatter seeds on the platform. How Do I Make a Homemade Bird Feeder? Tammy Lee Morris is a writer living in southern Illinois. She has been writing professionally for print publications since 1992 and contributing to online publications since 2006. Now writing a column for "The Weekly Review," she has also contributed to "Woman's World," "Countryside Magazine," Asylum.com and the Woman's Day website. Morris studied journalism at John A. Logan College. Lee, Tammy. "Homemade Finch Bird Feeders." Sciencing, https://sciencing.com/homemade-finch-bird-feeders-5502616.html. 24 April 2017.